The official launching ceremony of the newly expanded UNIST Health Care Center, held at UNIST on September 11, 2017. 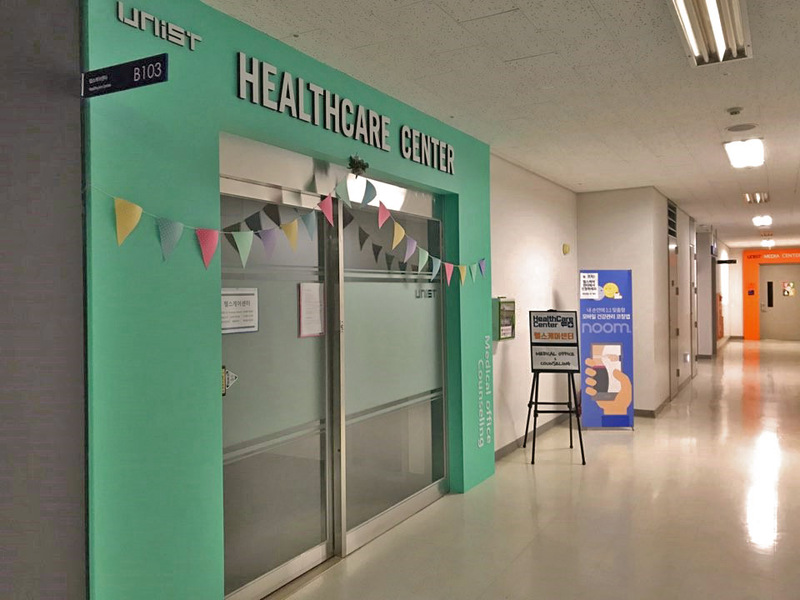 Newly-expanded, renovated UNIST Heath Care Center opens in main administration building at UNIST. UNIST debuted its newly expanded Health Care Center in the Main Administration Building, this afternoon. 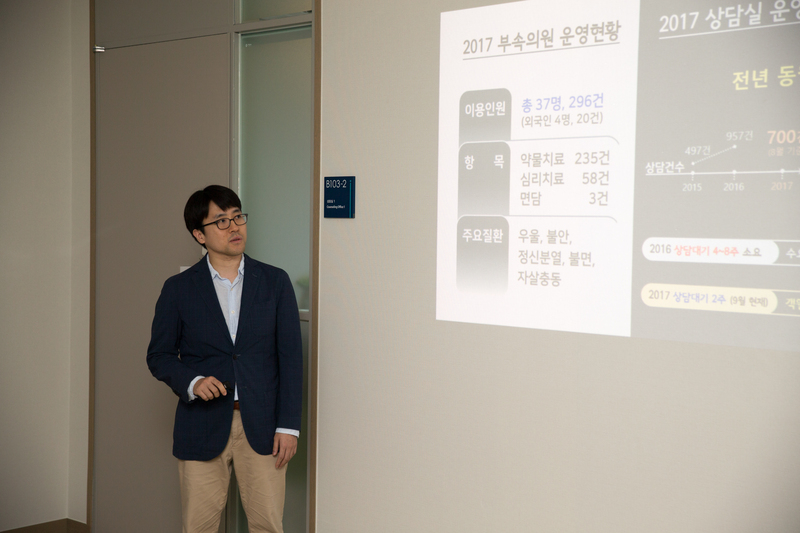 “We’ve significantly expanded our health care infrastructure to build a stronger and healthier community,” says Director Dooyoung Jung of UNIST Health Care Center. The newly-expanded UNIST Health Care Center, located in the Main Administration Building of UNIST. 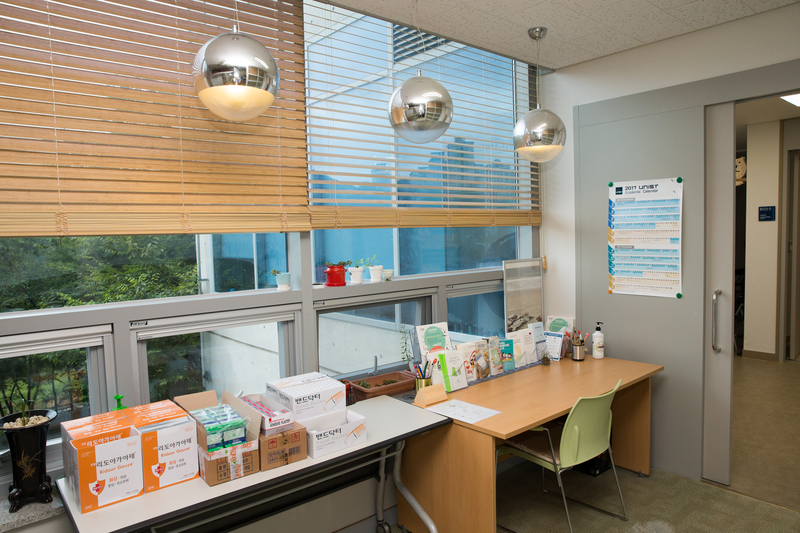 Located on the first basement level of UNIST’s Main Administration Building, the UNIST Health Care Center has expanded and renovated its space to provide quality health services for its students, faculty, and staffs. 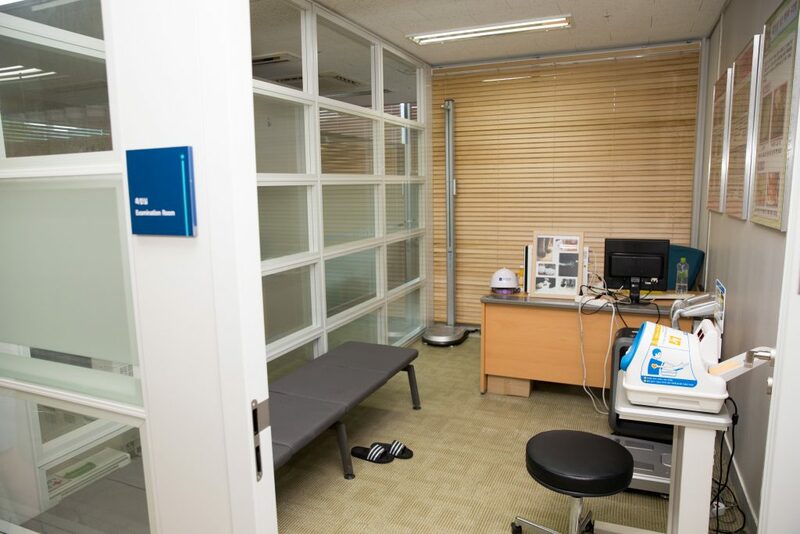 The center, which officially opened this afternoon, features one new exam room, one private and two group counseling rooms, a first-aid room, a recovery room, clinical laboratories, one large space with work stations for the primary care staff and an education and training room with space for future growth. 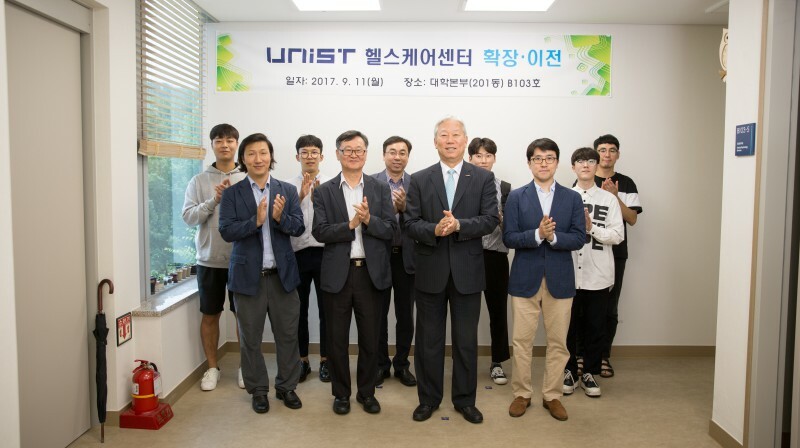 Attended by President Mooyoung Jung and six other university officials, the ceremony was held to celebrate the newly expanded UNIST HealthCare Center and to promote the medical services provided by the center. Inside UNIST’s newly-expanded UNIST Health Care Center. Director Dooyoung Jung is a medical doctor with special training in the diagnosis and treatment of mental and emotional illnesses. 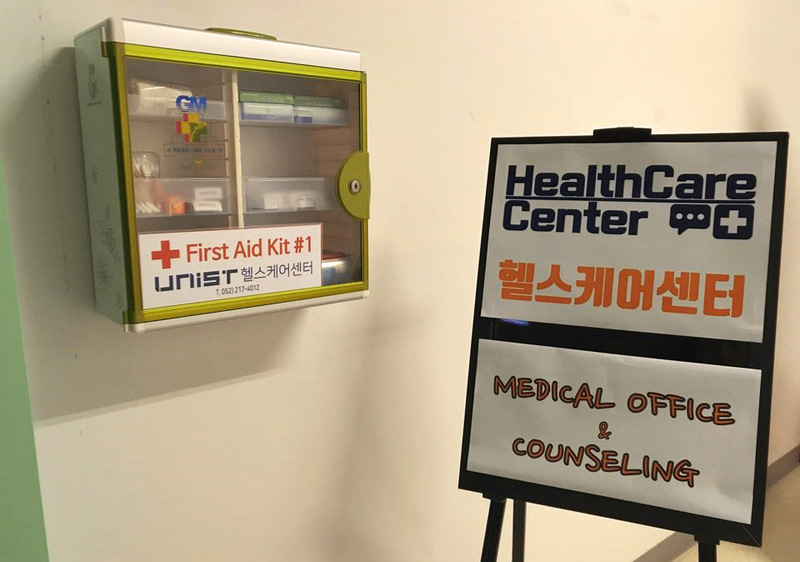 Under the supervision of Director Jung, the UNIST Health Care Center currently provides various medical services, including counseling services, psychological assessment services, the influenza vaccine (flu shot), as well as phototherapy. “The expansion not only provides substantially more physical space but also dramatically enhances the quality and efficiency of healthcare services on campus,” says President Jung.